This delicious dinner for two includes our 40 oz. 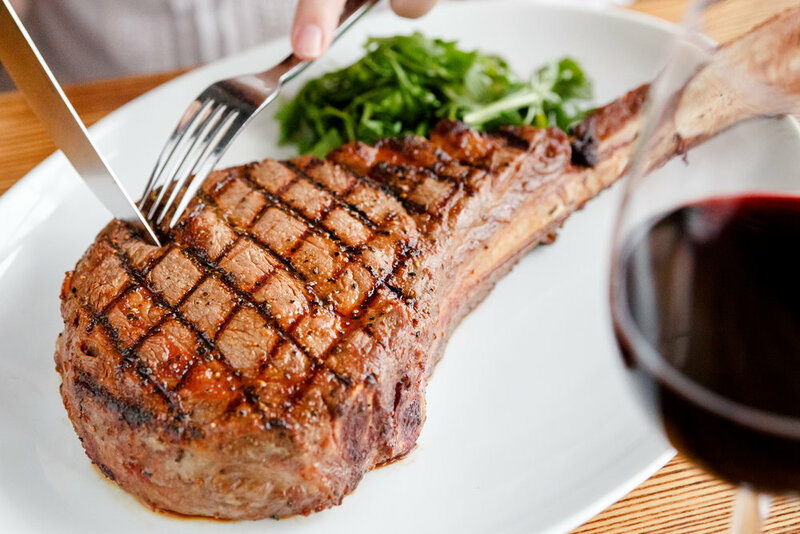 Tomahawk Steak, two salads, two sides, and two desserts for $129. Available every Tuesday. Looking for fine, fresh dining after work? Join us for a taste of Happy Hour, served every day from 4:30 pm to 6:30 pm.